The current Lowell dog park is in a difficult-to-reach location and cannot permanently stay. 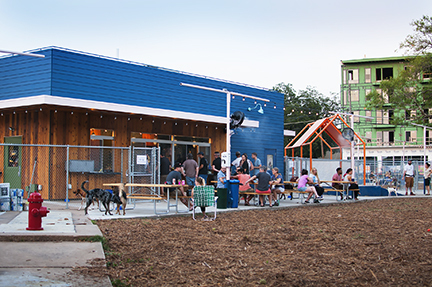 We should research potential locations for a new dog park, and perhaps even do a day-long event in the space for dog owners and their dogs, serving drinks and food, to generate support for a new park. If a new dog park was in a better area, I think people would help take care of it more and clean up after their dogs. In addition, it’d be even better if there was a bar attached, so pet owners can socialize too. Who wouldn’t love that?! Make Lowell pet-friendly! The current Lowell dog park is in a distant location from downtown. Some homeless people have pitched a tent next to it as well, creating challenges for volunteers who clean the park. Currently we have to drive to Hudson or Andover to use their dog parks. We'd love a new, clean, safe place for our dogs to get exercise off-leash and socialize with other dogs. There are a lot of challenges to finding a good dog park location, so there needs to be a lot of community support. Chelmsford just opened theirs. Perhaps we could connect with them to see what avenues they went thru.